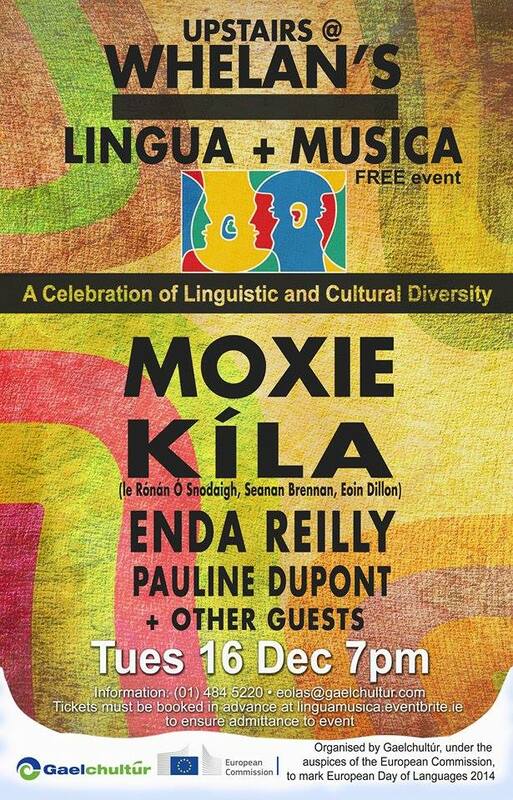 I’ll be playing my New Songs in Irish at this event in Whelan’s, wexford Street Dublin, on the 16th of December. Kila and Moxie will be playing too. Free in but you gotta book. See below. Ceolchoirm ar siúl i Whelan’s ar an 16ú. Saor in aisce isteach ach is gá áit a chuir in áirithe. Féach thíos.